You are here: Home / Politics / Ottawa Watch / OttawaWatch: Imagine that! Imagine Canada is the rather imaginative – and innovative – name of an organization that pulled together this week’s National Summit for the Charitable and Nonprofit Sector. The Summit drew together around 700 people involved in and around organizations that will undoubtedly become increasingly significant. They are part of a world where “big society” and “social innovation” concepts will be put to the test, in the quest to meet human need wherever what is being done now is arguably not working. Witness the recent news stories about the First Nations community of Attawapiskat on the shores of James Bay in Northern Ontario. National Summit met in a Delta Hotel about two blocks from Parliament Hill. This reporter spent a few hours lurking around the event, particularly focusing on Governor-general David Johnston’s opening plenary address on Tuesday morning, November 29. I also looked over the list of participants to identify some that were specifically faith-based. I found a few: the Salvation Army, World Vision, Habitat for Humanity, Yonge Street Mission, Central City Foundation and Carlington Community Chaplaincy – plus several Catholic community agencies and health care institutions. By far, most of the organizations listed were, on the surface at least, non-sectarian. But my semi-educated assessment would be that many of the key staffers – and volunteers – are doing what they do because of a faith-based motivation. And I would suggest that the faiths so-involved are likely either Christian or Jewish and increasingly, in the Canadian context, Muslim, Sikh or Buddhist. But, to cut to the chase, I wanted to touch on a couple of things emphasized by the Governor-general, during his speech. He stayed away from some of the political backdrop that is tending to bring charities and non-profits into more critical or vital roles, choosing rather to help people in those sectors to prepare for those very challenges. A great story-teller, he set the pace by talking about Pathways to Education, a group that began in Regent Park, a public housing community just east of downtown Toronto. PTE, he noted, operating with the objective of helping ensure educational opportunity and academic success for all young people in the community. Its programs helped reduce the high school dropout rate from 56 to 12 per cent and some 80 per cent of its participants in recent years, have gone on successfully to post-secondary education experiences. PTE is now being expanded across Ontario and Quebec. There is some government help for the program, but government takes its cue from the community and its non-profit and corporate sectors, rather than the reverse. 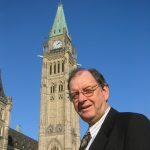 Johnston also told of hearing the late Mother Teresa of Calcutta speak to a Montreal prayer breakfast, during the time when he, himself, was principal at McGill University. A few other featured speakers are worth noting. The keynote address came from National Chief of the Assembly of First Nations, Shawn A-in-chut Atleo. 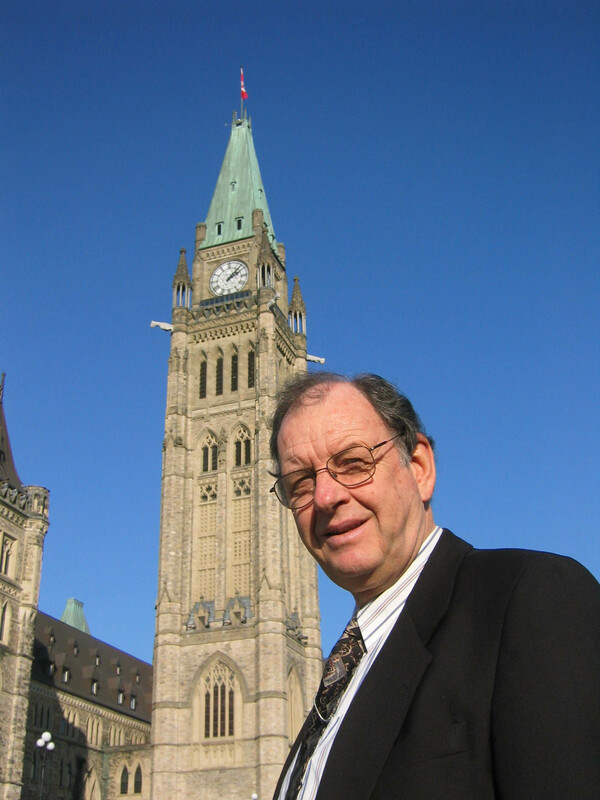 A debate between Roger Gibbons of the Canada West Foundation and former Ontario cabinet minister and, later, head of United Way Toronto, Frances Lankin, was intended to draw together some of the ideological issues contributing to tensions within the charitable and non-profit sectors. “But what did these people have to say?” the reader might properly ask. My understanding is that their presentations will be on line soon, at www.imaginecanada.ca. Click on the National Summit button, then look for “presentations” under the “resources” pull-down. Stephen Harper: The Case for Collaborative Governance (ECW Press, 2006), More Faithful Than We Think: Stories and Insights on Canadian Leaders Doing Politics Christianly (BayRidge Books, 2005) and Like Father, Like Son: Ernest Manning and Preston Manning (ECW Press, 1997). Lloyd can be reached at lmackey@rogers.com.